Some time ago, I conducted a seminar about living a life of quality and significance, about becoming the person you were born to be. It seems to me that many people, particularly in the first half of their lives, continue to struggle with how to achieve this; consequently, I’d like to share an aspect of that seminar here (more to follow in future posts). 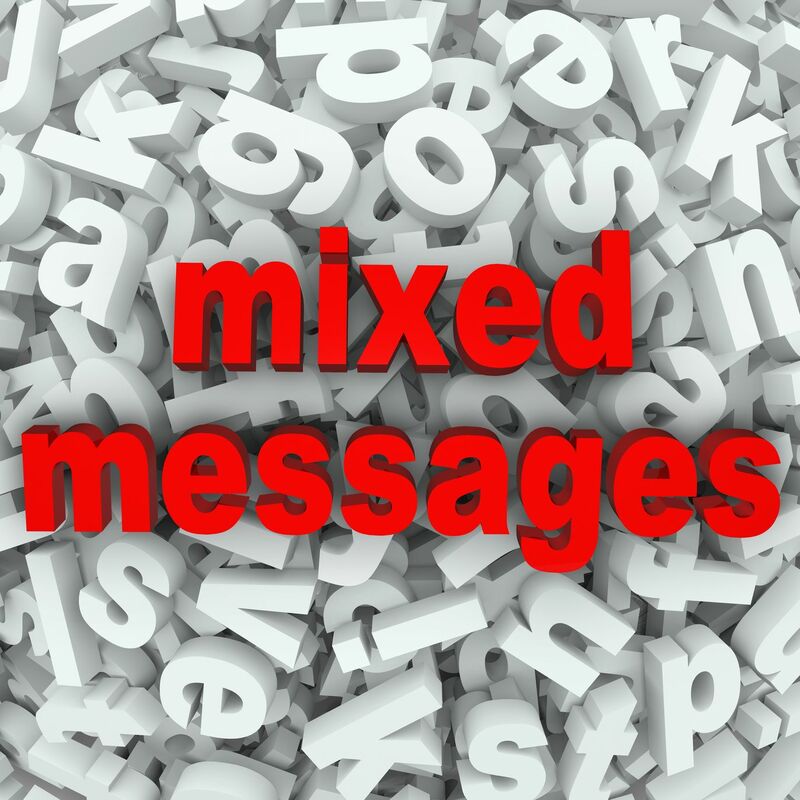 Mixed messages occur when the spoken words do not match the tone of voice or body language. What is most important in determining the honesty and trustworthiness of the message is that all three of these components must be “congruent,” they must support each other and all be giving us the same message. We have a keen ability to discern the attitudes and feelings someone is communicating to us beyond the literal words being spoken. If someone says, “I’m really happy to see you,” but speaks in a distracted tone, “rolls” their eyes and exhibits a closed-off stance, one is more apt to pick up on these more powerful negative markers (tone and non-verbal communication) than the literal words being spoken. So, it’s important to realize that how you communicate – your tone, your body language – plays a much bigger role in influencing the emotional state of another. Being completely congruent is a powerful key in leading an authentic life and can have a significant impact in how you are perceived in your personal and professional lives.